Promoting positive and empowering relationships between program staff and the community and between members of the community. Seeing and valuing the different contributions and views of women and men, to further their community’s development. Ensuring that women and men can meaningfully contribute to discussions and decision-making relating to WASH in their community. 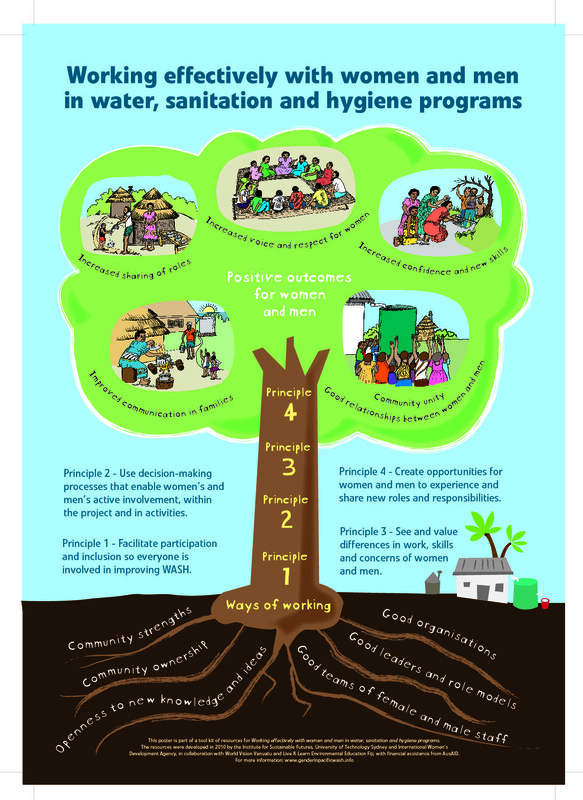 Promoting WASH outcomes that address the different but equally important needs and hopes of women and men. Recognising that WASH programs are not only a pathway to better water access and quality, sanitation and hygiene but can also promote positive and respectful roles, responsibilities and relationships between women and women, women and men, and men and men within communities.